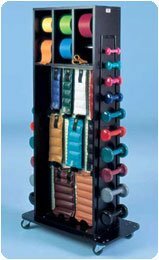 Sammons Preston Combination Weight Rack with Mirror Accessorized Multi-Purpose Combination Rack by Sammons Preston at Strongman Pictures. MPN: A87373. Hurry! Limited time offer. Offer valid only while supplies last.